So many of you have asked when you’ll get to see Sancho’s story–and here it is. Sancho is the romantic lead in Completely Smitten. I’ve just published an excerpt, with ordering information, here on the website. Enjoy! I’ve just posted an excerpt from my upcoming release from Sourcebooks, Thoroughly Kissed. You can find the excerpt here. Enjoy! 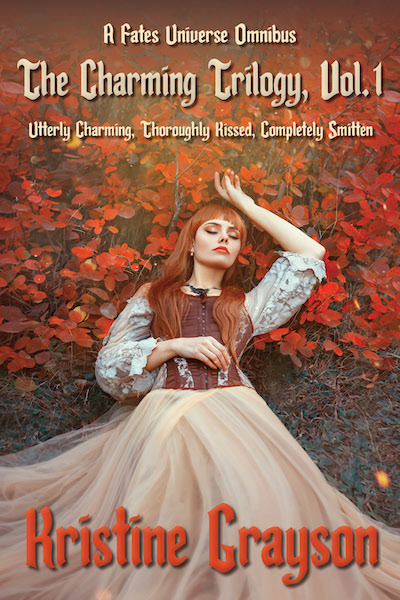 Just got the final cover for my upcoming paranormal romance, Utterly Charmingtoday. This is a Sourcebooks reissue of my first Grayson novel, which won the RT Book Reviews Reviewer’s Choice Award for Best Paranormal Romance. The book comes out in October, but you can preorder now if you’re so inclined. Sourcebooks is showcasing the first three chapters of Wickedly Charming. You can read the excerpt on their CasaVIP: Exclusive Content page. Enjoy!